Now that the 2007 season is over and the Colts will not get their second shot at the New England Patriots, all the talk has turned to if head coach Tony Dungy will be back for the 2008 season. 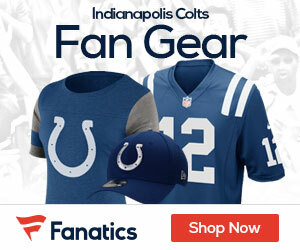 My guess, after 12 years as a head coach and 6 with the Colts – Dungy is set to walk away. Yes, while the Colts ownership headed by Jim Irsay would like to have Dungy back with the team moving into a new stadium, I find it very unlikely to happen. Seems that Dungy has the same syndrome that former Steelers coach Bill Cowher had – that being the burnout as well as the need and desire to spend more time with his family. The Dungy family to this day continues to deal with the tragedy of losing a young son two years ago, and now you get a sense that Tony has a burden more than ever to move on from being a head coach. While he has a contract with the Colts through the 2009 season, this is by far bigger than money. It’s a man with a great appreciation for family and his faith that simply needs to get away and start a new chapter in his life. 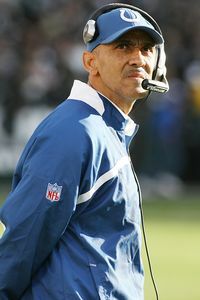 Mark it down, by the end of the week Dungy will have walked away and the Colts will be looking for a new coach.